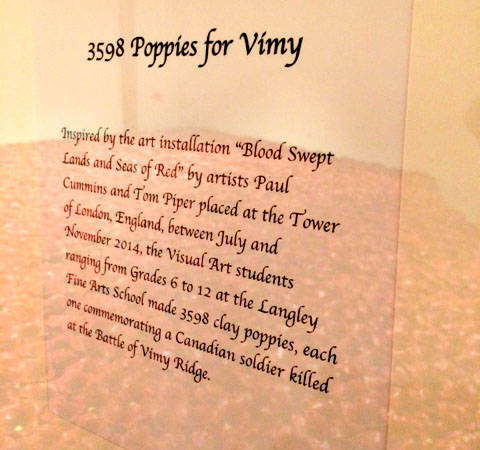 Visual arts students have created a tribute to Canadians killed in the Battle at Vimy Ridge. 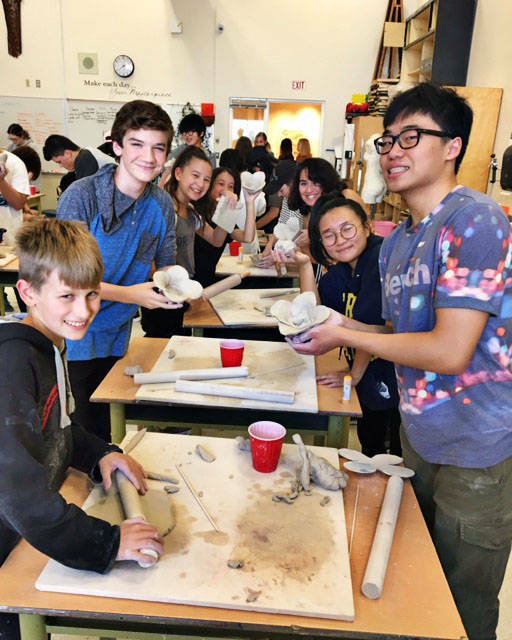 Nov. 8, 2018 11:45 a.m.
Langley Fine Arts School students have created a permanent memorial to Canadians killed more than a century ago. 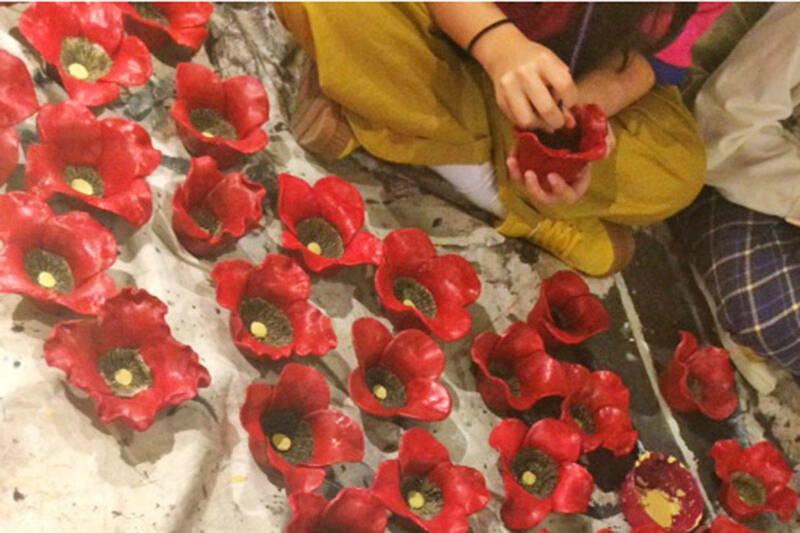 Visual Arts students in Grades 6 to 12 have spent weeks fashioning palm-sized poppies out of clay then decorating them. They didn’t make one or two each. 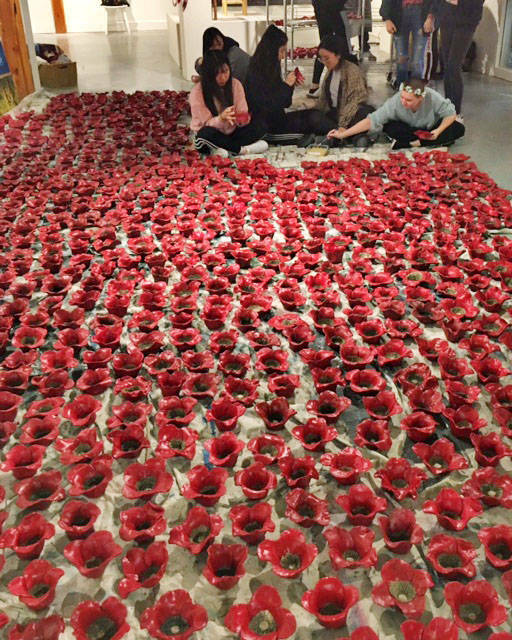 The approximately 230 students in Grades 6 to 12 crafted 3,598 clay poppies which are on display in the school’s Mary Pratt Gallery for 10 days around Remembrance Day. 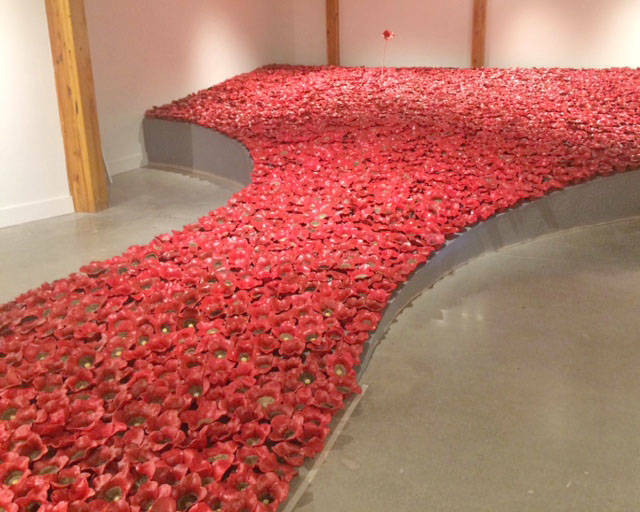 Each flower in the exhibit entitled Poppies for Vimy was done in honour of a Canadian soldier killed at the Battle of Vimy Ridge during the First World War. The project started long before the students even laid their hands on the clay. The exhibit was inspired by the Blood Sweeps the Lands and Seas of Red projects at the Tower of London in England. 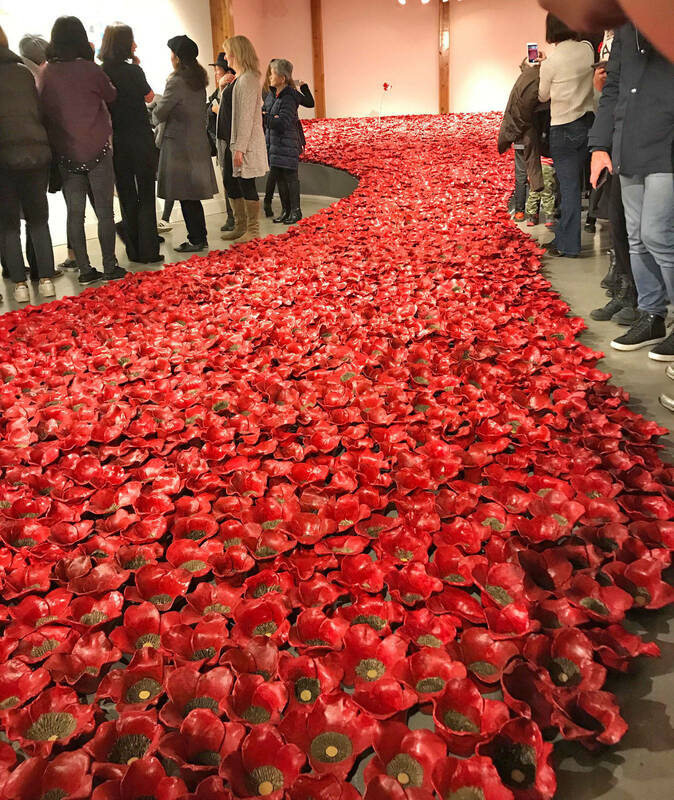 “Whereas the Tower of London installation commemorated the centenary of the outbreak of World War I, the Langley Fine Arts installation commemorates the end of the war,” she explained. 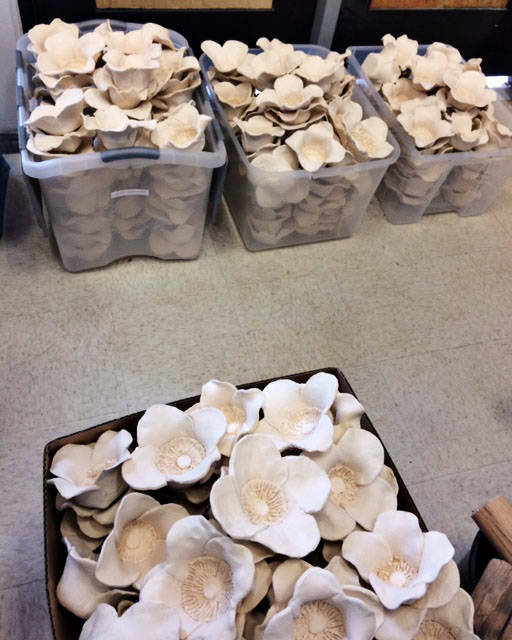 The students fashioned the clay, then the poppies were fired in the school’s kiln. That was only half the job. “They have been working in groups to paint them,” Bennett said. The art installation was put into the gallery in the days leading up to the exhibit opening. 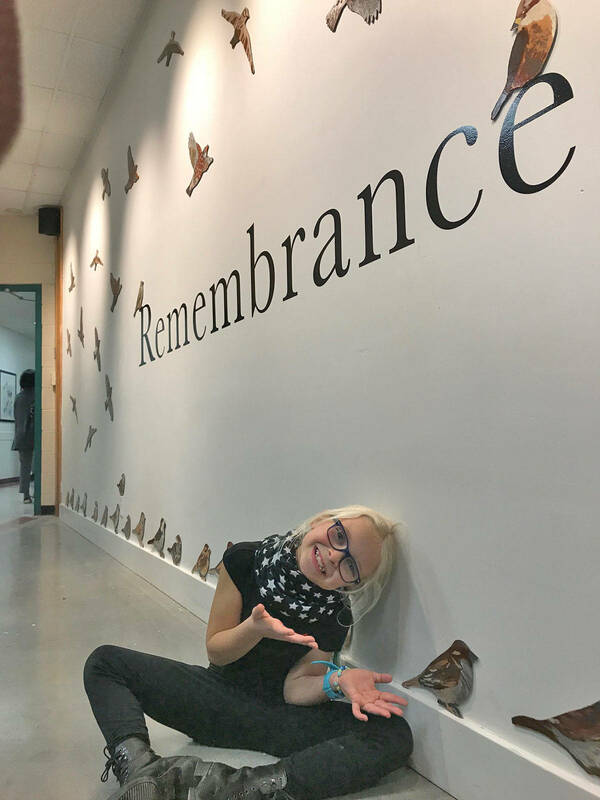 To round out the exhibit, the kindergarten students made a field of poppies, Grade 8s did collages, the Grade 2s made birds as symbols of peace, and the Grade 3s made art based on relevant poems they had studied. 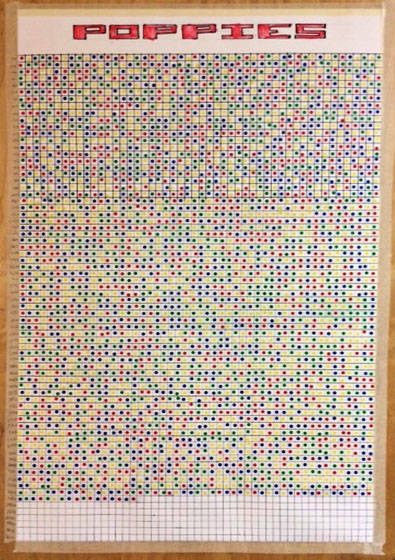 The project was organized by Bennett and fellow teachers Kayla Preston and Peter Sarganis. Sarganis is the teacher whose students, back in 2009, painted 33 portraits of every soldier killed in Afghanistan during a one-year period early in Canada’s mission. The performing arts students have been readying Remembrance Day pieces which are spotlighted at the annual services at the school in Fort Langley. The school has four assemblies for Remembrance Day, adapted to the various age groups in the K-12 school. But often visual arts students work alone. The teachers wanted to have a way for those students to use 2- and 3-D art pieces to create a Remembrance Day-inspired group project, working together across the grades. “We really wanted to sort of come together as a community and do one piece,” Sarganis said. Teachers from various departments taught the kids about various facets of Remembrance Day, Canada’s involvement in past wars, peace, and more to help them connect with young men not much older than the students. One teacher showed the students the online registry where people can find out about the military service and lives of particular soldiers. Another teacher taught the students about the people whose names grace the many streets of Fort Langley. All were Great War veterans. 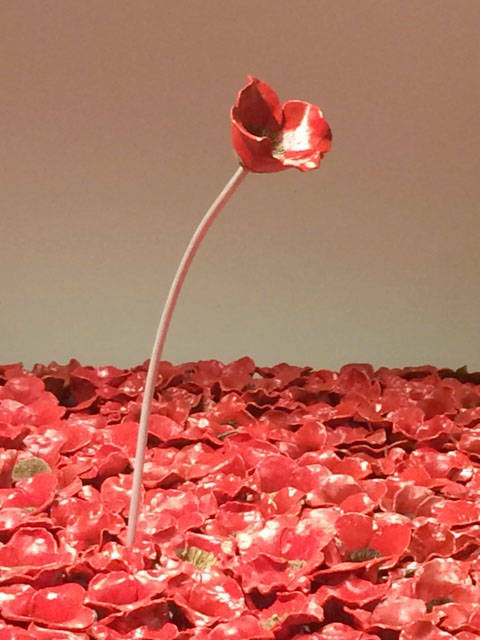 The Poppies for Vimy exhibit is up from Nov. 7 to 16. An opening reception is being held at 7 p.m. on Wednesday, Nov. 7. The gallery is open to the public from 8:30 a.m. to 5 p.m. weekdays, but people must sign in at the school office, 9096 Trattle St.